Sometimes it’s like a modern-day game of Clue. (“Lady Gaga, In Your Creepy Neighbor’s Garage, with a Dolphin”.) Sometimes it’s like Japanese monster films with sexually awkward teenagers. It’s taught me about the history of the slinky, the diaper, and ketchup. 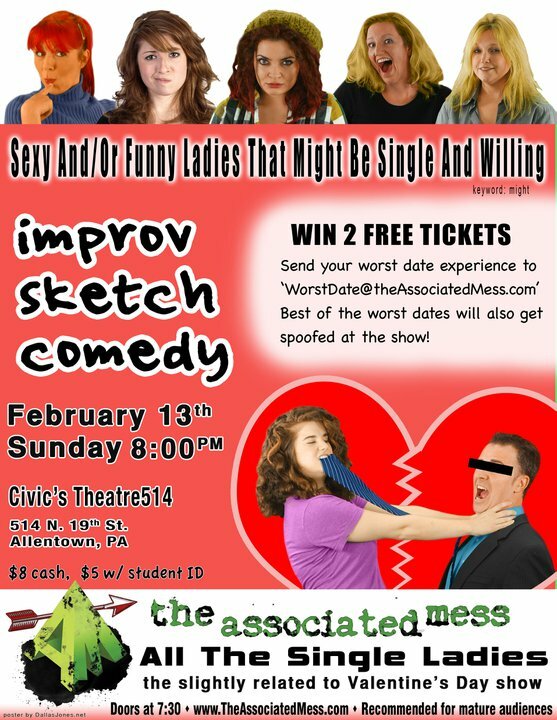 The Associated Mess is a roundup of the areas most clever actors and comedians that successfully perform improv comedy every week in various Valley locations. Imagine Who’s Line is it Anyway? sans Wayne Brady, instead featuring local bartenders or your kid’s substitute teacher. This weekend, The Mess is adding something new to their repitoire of shenanigans, by offering a sketch comedy show just in time for independence day: Amurica The Beautiful (to be said in full George Bush accent). This show will include modern (hilarious) interpretations of historical events and “what-if’s”. Artistic Director Josh Neth and Managing Director Ryan Hill tell us about the tough job of being funny on cue.